Skrillex, Beach House, and Daniel Caesar will appear at this year’s event. 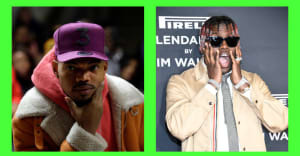 Arizona festival FORM Arcosanti has announced its line-up for 2018 with Chance The Rapper, Charli XCX, and Blood Orange all featuring on the bill. 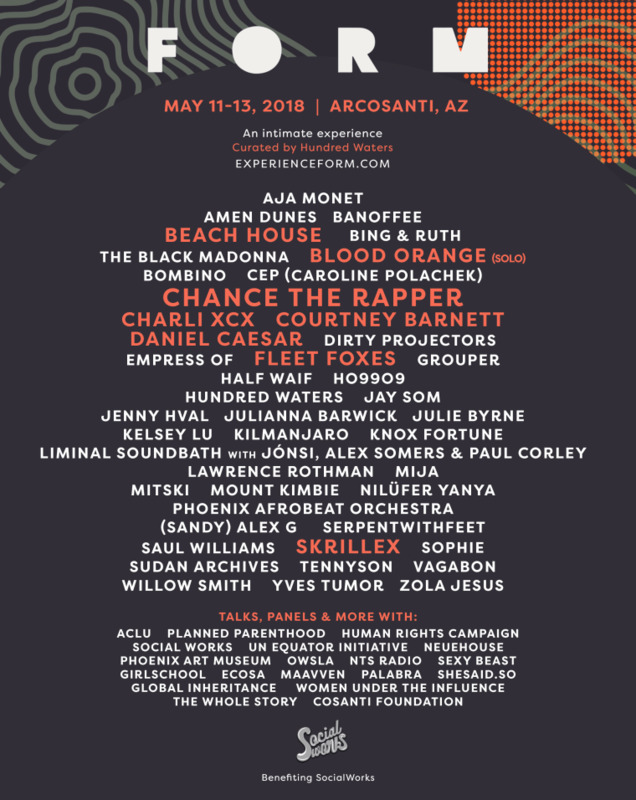 Other artists set to appear across the weekend of May 11-13 include Skrillex, Fleet Foxes, Beach House, and Daniel Caesar. The 3-day festival is curated by the band Hundred Waters and takes place in the desert eco-city of Arcosanti. Other artists confirmed for this year's event include Courtney Barnett, Mount Kimbie, Willow, Dirty Projectors, Mitski, Sophie, (Sandy) Alex G, Zola Jesus, Jenny Hval, and Serpentwithfeet. Tickets for the festival are on sale now and the full line-up can be seen above. Thumbnail image courtesy of Paras Griffin/Getty.